The Holidays are here and you’re probably thinking about gift ideas for travelers in your life. It was right around Christmastime when I told my friends and family that I was leaving in a few days to travel the world. They were confused about what they should get me for Christmas before I left for my trip. 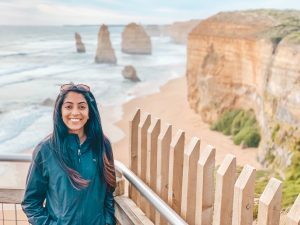 I know they’re not the only ones who feel confused about gift ideas for travelers. For this reason, I made a list of gift ideas to help you. 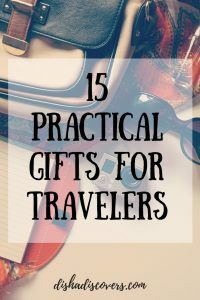 Don’t limit this list just to Christmas because you can use this list any time you need gift ideas for your traveler. Also, some of these items cost less than $25, thus being very budget friendly! Finally, you don’t have to leave your comfy couch to get these items. This post contains affiliate links to the products I use and trust. This means that I might receive a small commission (at no extra charge to you) if you make a purchase using any of my links below. See my full disclosure here. I know this isn’t something travelers take with them on their trips. But, I know that all travelers love this particular item. I’m so excited to scratch off all the countries I’ve visited when I go home from my trip. You can also get this for yourself to help you keep track of your traveler’s journey. In fact, my mother-in-law has a similar map that she stays up to date with according to our travels. She says it makes her feel like she’s a part of our trip. As a matter of fact, I didn’t use packing cubes when I started traveling. Don’t ask me why. Therefore, I spent a lot of time rummaging through my unorganized luggage looking for things. I usually had to empty out the whole thing to find what I was looking for. Packing cubes are brilliant. You can easily organize your belongings and find what you’re looking for without a luggage explosion. As a matter of fact, I never travel without my packing cubes now. 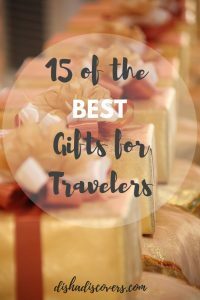 Because of my strong love towards these things, I couldn’t leave them out of my list of gift ideas for travelers. We’ve all been on flights where we can’t seem to get comfortable no matter what. This pillow will help with that. It has memory foam and comes with a sleep mask and ear plugs. These three things are lifesavers on long haul flights. Thus, your traveler will arrive to their destination well rested and ready to explore. I’ve used this adapter for a year now and haven’t had any problems with it. It’s small and lightweight making it easy to carry around everywhere. It works in over 160 countries and comes with four USB ports so five devices can charge at the same time. This is the way to go if you really want to wow your traveler. My husband has a pair and loves them. They really are noise cancelling so he’s able to fall asleep on loud flights and trains. I accidentally sat on them once (don’t tell him) and nothing happened to them. They’re indestructible. I used to have issues with keeping my credit cards and travel documents organized. I used to stuff all of it in my pocket which was uncomfortable and an irresponsible way of storing important documents. In this wallet, you’ll find compartments for a passport, boarding passes, credit cards, money and coins, SIM cards and more. It also comes in several colors. Because of this wallet, you’ll never have to fumble through pockets and face a moment of terror when you think you’ve lost something important. I love this daypack because it can be used for any level of travel. You can use it when you’re hiking or when you’re just taking a city tour. It also attaches to some of Osprey’s bigger backpacks and has a pocket inside for your laptop. In all honesty, this is the best gift we received last year. Because of this portable charger, I don’t ever have to worry about my phone’s battery dying. It’s perfect for recharging your electronic devices on long haul flights and when you don’t have access to an electrical outlet. It’s lightweight but charges my iPhone X more than five times, hence, allowing me to watch as many movies as I want and take as many pictures as my heart desires. This cute and comfortable scarf has an unexpected pocket where you can store your phone, passport, cash and keys. This is great for ladies who don’t carry purses or don’t want to carry a daypack. It comes in several colors and can be paired perfectly with almost anything you wear. Not only is it fashionable, it’s also practical. I know my ladies will appreciate me putting this one on my lift of gift ideas for travelers. This one is for my travelers who dislike carrying backpacks. This suitcase has a hard shell on it so it has increased protection and durability. It has four spinner wheels for smooth mobility and it’s the perfect size for a carry-on. I went rafting in Bali without this waterproof phone pouch which was a huge mistake. Consequently, I had to leave my phone in a locker so it wouldn’t get destroyed. As a result, I wasn’t able to take any photos. This pouch fits all smartphones up to six inches diagonally. 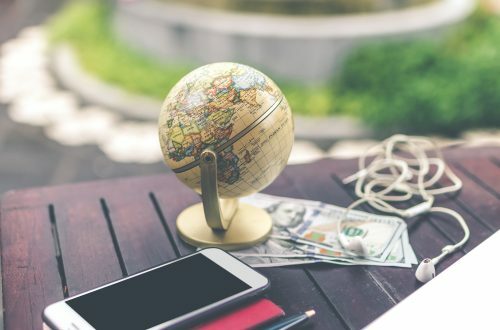 It even holds cash, credit cards and other important documents which allows you to take your belongings with you under any weather condition without worrying. I’ve heard some bloggers say that water bottles like this one are a complete waste. Nevertheless, I am a firm believer in them. I hate paying a premium for bottled water at airports. Once I get through security, I can refill my bottle for free at the water fountain because I have this one. I also get tired of my water getting warm when I’m just walking around with a plastic bottle. This particular bottle is double walled and vacuum insulated so it keeps beverages hot or cold for several hours. It comes in several colors and doesn’t leave a metal taste in your mouth. It easily fits into cup holders and the sides of backpacks. I love to read! But, I love physical books. However, that’s just not feasible when I’m trying to pack light. With this Kindle, I have my choice of books right at my fingertips without the weight of multiple books. This Kindle is waterproof too. Notebooks always show up on gift ideas lists for travelers. Where do you even begin with notebooks? There are so many of them. 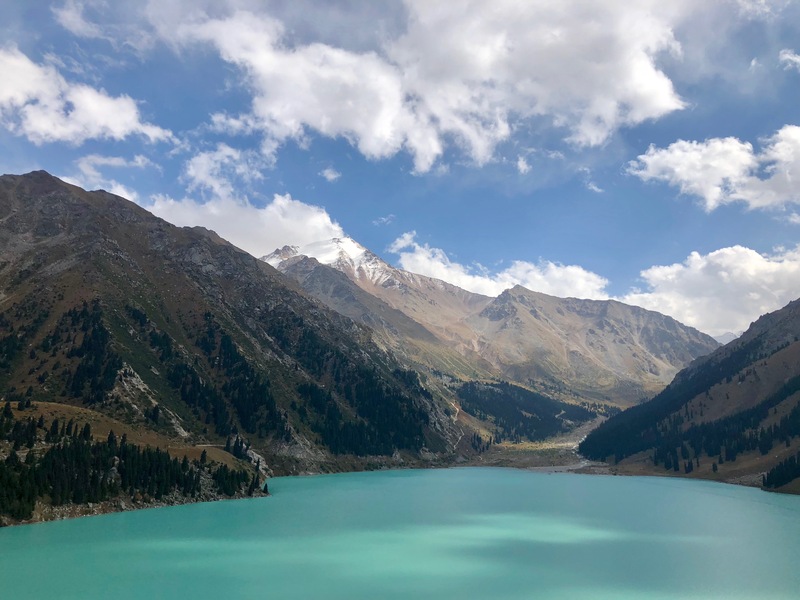 In my opinion, this is the ideal notebook for travelers because it includes pages for budgeting, packing lists, planning sections and pages to write notes about your trip. It’s always fun to go back and read about your travels. To tell the truth, I never check my luggage in. I always take a carry-on. Therefore, I have to put all of my liquids in these travel containers so I don’t get stopped by security. In care you were wondering, it’s not the least bit fun when security stops you for breaking their liquid rule. I use these for shampoo, conditioner, face wash and moisturizer. These bottles are BPA free and don’t leak. What’s on your travel wish list this Christmas? Which one of these items do you need? Did I miss anything on my list of gift ideas for travelers? Let me know in the comments below. 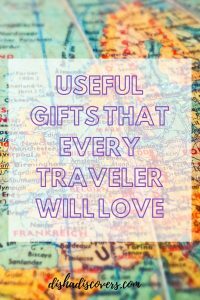 Like this post about gift ideas for travelers? If so, pin me please! 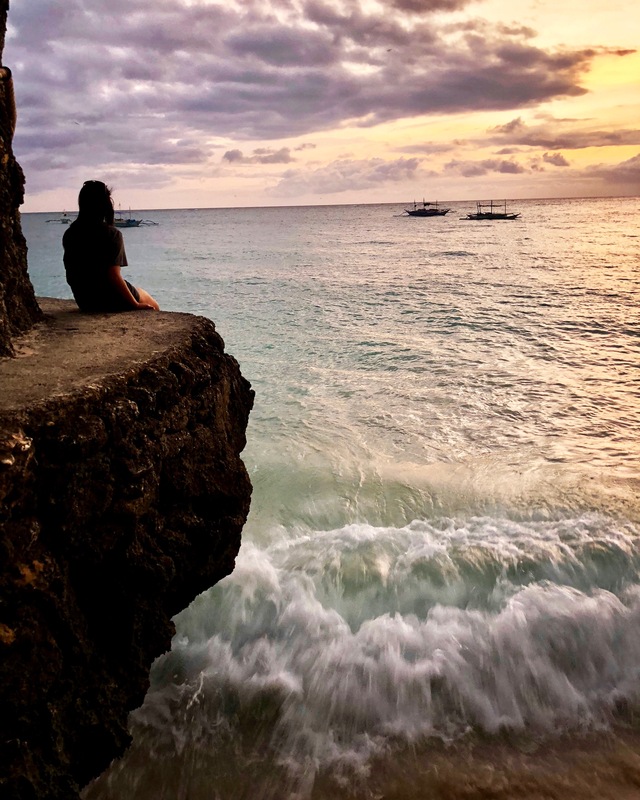 Articles you’ll actually want to read, travel tips and life hacks sent straight to your inbox! Sign up and receive your free guide to finding cheap flights! Noise cancelling headphones are a must for long plane rides! I even have a few for my kids so they can watch a movie on their tablets! It’s crazy how that one little thing can help you relax and sleep better on flights! Love the ideas, especially the travel scarf. I love items with security features built it for when I travel. Thank you! Yes, I definitely thought the scarf was quite nifty. I love items like that too! I love the travel containers! I’ve never seen them before a great idea! Me too! They’re a must for me. They are such a small item but they’re easily glanced over when packing for trips. That waterproof phone pouch sounds like a really cool thing I could ask my mom to get me maybe. I hate not being able to take pictures at the beach! Hey Nina! 🙂 Thanks for reading. You’ll love the packing cubes. I used to think that the waterproof phone pouches looked silly, but they’re so useful. You should get one.